Nueva Palmira is located in Colonia department in south-western Uruguay. 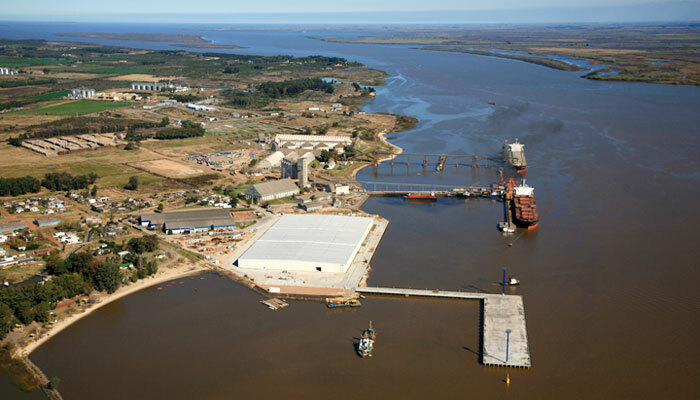 Its port is considered the second most important commercial port in Uruguay after Montevideo, situated at km 0 of the River Uruguay. It receives commodities from Bolivia, Paraguay, Brasil and of course Uruguay for export through shipping. These includes citrus, wood pulp, fertilizers, containers and sugar exports, with plans to add terminals for oil & grains. Cargo Suitability: Grain, fresh fruit, forestry products, containers & fertilizers. Owners: Terminales Graneleras Uruguayas S.A.
Owners: Navios South American Logistics Inc.